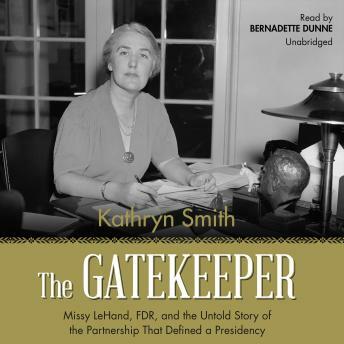 The first biography of arguably the most influential member of Franklin Delano Roosevelt's administration, Marguerite "Missy" LeHand, FDR's de facto chief of staff, who has been misrepresented, mischaracterized, and overlooked throughout history ... until now. Widely considered the first female presidential chief of staff, Marguerite "Missy" LeHand was the right-hand woman to Franklin Delano Roosevelt-both personally and professionally-for more than twenty years. Although her official title as personal secretary was relatively humble, her power and influence were unparalleled. Everyone in the White House knew one truth: if you wanted access to Franklin, you had to get through Missy. She was one of his most trusted advisors, affording her a unique perspective on the president that no one else could claim, and she was deeply admired and respected by Eleanor and the Roosevelt children.